Ten-year-old Chihiro Ogino and her parents are traveling to their new home when her father takes a wrong turn. They unknowingly enter a magical world that Chihiro's father insists on exploring. 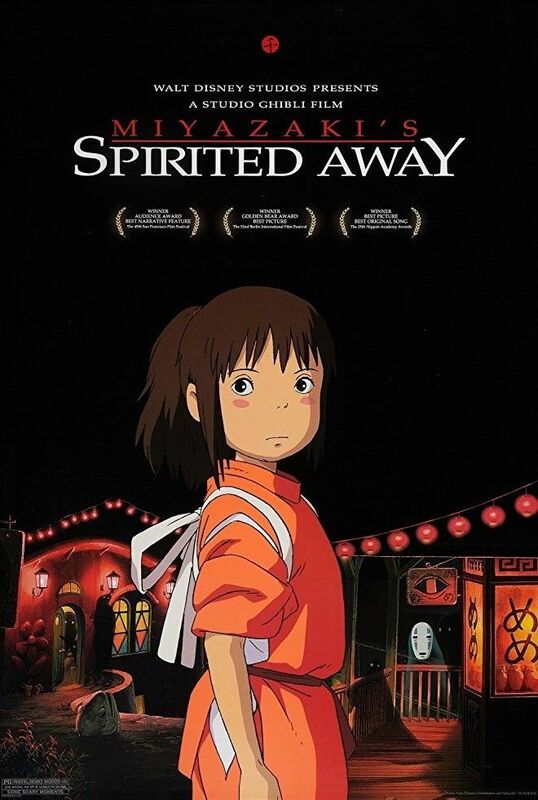 While Chihiro's parents eat like pigs at an empty restaurant stall, Chihiro finds an exquisite bathhouse and meets a young boy named Haku who warns her to return across the river before sunset. However, Chihiro discovers too late that her parents have turned into pigs and she is unable to cross the flooded river, becoming trapped in the spirit world. Read more on Wikipedia.